Money Doesn’t Buy Happiness…Does it? The western world seems to spend a lot of time searching for happiness. Consumer culture tells us that stuff makes us happy but we have all experienced that the happiness from things is only fleeting. In 2013 two behavioral scientists published their latest research in a book, Happy Money: The Science of Smarter Spending. In their book authors Elizabeth Dunn and Michael Norton outline five principles for individuals and companies can follow, when spending money, to achieve more happiness. These principles are such great reminders and especially ring true for volunteer travelers. So many times when an international volunteer returns home they will describe their experience as “life changing” and I think Happy Money provides a little insight into why. When people take a volunteer trip they are not purchasing a vacation but they are experiencing a whole other way of life. Volunteers are learning from another culture and community and investing their time and resources in other people. 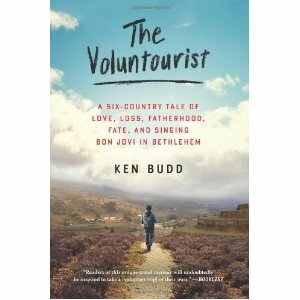 The opening pages of Ken Budd “The Voluntourist: A Six-Country Tale of Love, Loss, Fatherhood, Fate and Singing Bon Jovi Bethlehem” are thought provoking. It provides a unique perspective into a traveler’s world as he seeks to help others while defining his own life purpose and answering, what am I doing that matters? The memoir begins with Ken Budd, an award-winning writer and editor, trying to determine how he can pursue a life with meaning while constantly defining parts of his journey and what meaning they hold. Through his journey, he volunteers in various roles, in various countries – including Costa Rica and China. In a recent interview, he said, “In the past year, there have been a few studies that suggest that volunteer work is as healthy for the aging body and brain as exercise and right diet.” This statement is further validated by his own testament and volunteering. In his book, Ken asserts that he was constantly challenged – mentally, spiritually, and emotionally – and he always felt outside of this comfort zone. In fact, in his book, he describes how his volunteer work in China – where he worked with disabled children – forced his brain to work in a different way. While attending the UN – Year of the Volunteer +10 I had the chance to see the Design with the Other 90% – Cities exhibit in the lobby of the UN. The exhibit is full of examples of creative design innovations to help those living in slums, favelas, or informal settlements. It is a fascinating installation that ends Jan 9, 2012. I highly recommend visiting if you are able but for those who are unable to, you can check out their website, Design for the 90% or their book (more information below). Almost one billion people live in informal settlements, or slums around the world. The problem is exacerbated not just by a growing population but also a migrant one. More than half the world’s population lives in cities and around 200,000 people move to cities each day. People move to cities for better access to resources, jobs, school. 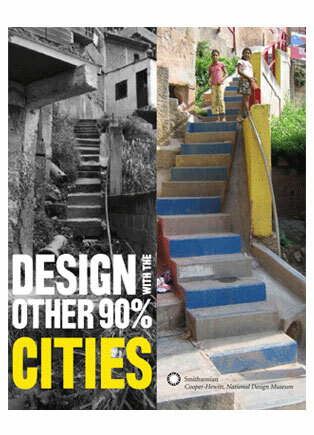 Living in slums does not necessarily give them that access, though it might get them closer. The innovations featured in the exhibit focuses on adaptive solutions to gain access to adequate housing, resources and infrastructure. Some of the example that I found most interesting were the housing solutions. 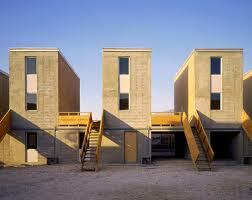 The picture below is from an incremental housing project in Chile. A large portion of the house was built with government subsidies that the residents could never afford on their own but then the residents are required to complete the house with their own funds. Some other creative housing projects included sandbag houses, “molding” a house with a plastic framework, and modular homeless shelters. The exhibit is the second of a series by the Cooper-Hewitt National Design Museum and also has a book out, Design with the Other 90% – Cities. The book basically covers what is in the exhibit and includes a chapter by the curator, Cynthia Smith, some chapter prefaces, and facts and background to the projects. A majority of the book are short profiles that contain really only a paragraph or two for each example included in the exhibit but the book is a nice reference to remember the installation or give someone a chance to “view” the exhibit through the book. 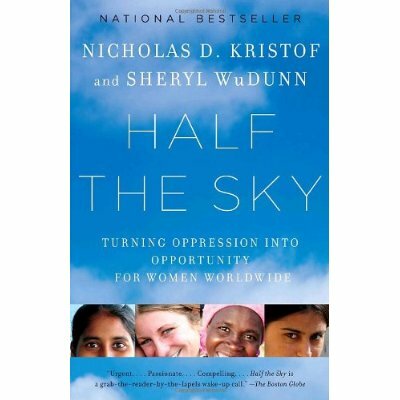 A few years ago Nicholas D. Kristof and Sheryl WuDunn published a book titled Half the Sky: Turning Oppression into Opportunity for Women Worldwide. Half the Sky is a stunning book with gripping stories of women around the world and their plight for freedom. Issues summarized in the book include maternal mortality, sexual exploitation, female genital mutilation, education and workforce participation. The book also highlights grassroots action and the impact that individuals can have. There is the story of Harper McConnell a young university graduate who volunteers in the Congo and ends up staying and running a school. The authors also encourages volunteering often throughout the book. Interested in volunteering to help the plight of women around the world? Below is just a sampling of some of IVPA’s member programs. Health: Volunteer to help improve women’s reproductive health with Child Family Health International or work on one of Global Service Corps global health programs. Women’s Empowerment: ProWorld and Projects Abroad has a number of opportunities in human rights and women’s empowerment. Community Development: work with indigenous communities with Global Citizens Network or work to promote education and community based solutions with Amigos de las Americas. New Years is traditionally a time of reflection on the past year and a looking forward to the one to come. It is a time of of self evaluation and making goals. I recently picked up Frommer’s 500 Places Where You Can Make a Difference and it got my wheels turning for New Year’s goals. There are so many needs in the world but I am a firm believer that volunteer service can be a force of change in the world and is an important component in combating poverty, disease, environmental degradation and a host of other problems that plague humanity. If you are thinking of traveling this coming year you might consider picking this book up and taking a look. The number and variety of projects is mind opening to read through. The book is divided into 15 categories of service opportunities! I was impressed by the diversity of the categories, some I wouldn’t have even thought about like “Special Events” and “Crossing Generations”. As far as organization of the book there are, as the title indicates, 500 opportunities listed under the 15 different categories. Each listing fills about a page and includes a heading with a title summarizing the opportunity and the location and then a few paragraphs that provide some detail. At the end of the listing is a ‘Next Step” that provides the contact information for the organization providing the opportunity, details on cost and what else to see in the area. Visually the book doesn’t provide a lot, only a few black and white pictures but what it lack is photography it provides in breadth. This is a fun book to flip through and get the creative juices flowing. And if you are looking of opportunities in a specific country you can always use the index in the back. So make 2011 great…get out and be the change. This post marks a new series of book reviews for the blog. There are a variety of books related to international volunteering and voluntourism. By providing a summary and review my hope is to facilitate potential volunteers in their search for resources and programs to fit their needs. 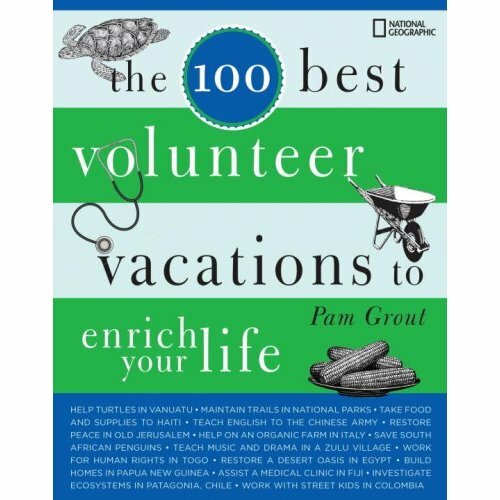 “The 100 Best Volunteer Vacations To Enrich Your Life” by Pam Grout was published in 2009 by National Geographic. The book is divided into seven chapters representing world regions. In each chapter there are detailed summaries of projects from a variety of organizations. The summaries provide background information on the volunteer sending organization as well details about the activities and highlights of the featured program. “Volunteer Vacations” is fun to flip through for those who, like me, like to imagine all the places they might go. I would recommend this for someone just starting to think about taking a volunteer vacation because it opens to the reader the many possibilities when choosing a volunteer program. For example as a volunteer you can get in the water to observe and record great white sharks with Greenforce or work on community projects with the marginalized Roma people (Gypsies) with Globe Aware. The possibilities are endless and this book just might help you narrow it all down or make your list of places to visit even longer.